The diagnosis of oral conditions and dental radiography are intricately linked. 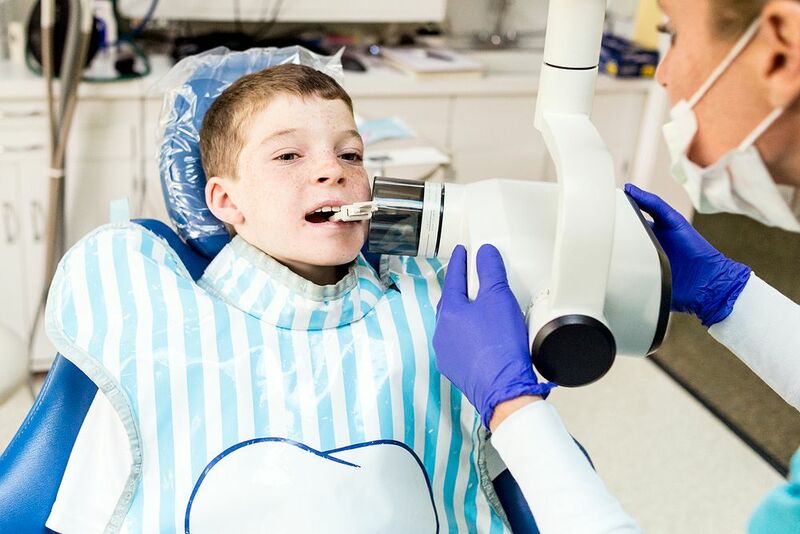 Radiographs are used to diagnose interproximal caries, periapical infection, impacted teeth and dental fractures, to name a few common conditions. Of course, they’re also used to follow up on treatment outcomes. Radiography is not without its risk, however, as it exposes both patients and practitioners to ionizing radiation. Clinicians need to be prudent when prescribing radiographs, and adhere to the “as low as reasonably achievable” (ALARA) principle in order to reduce radiation exposure to the lowest possible levels while still attaining diagnostic-quality images. Because the risks associated with radiation are higher for fast-dividing cells and tissues, children are more vulnerable to radiation exposure than adults. Table 1 lists the radiation exposures for different types of radiographs, as well as the approximate background exposure that individuals experience in everyday life. Despite the fact that these doses are relatively low, the potential risks of radiation exposure — especially among children — should not be ignored. Another factor to consider is that patients are more likely to undergo dental X-rays than medical exposures. This is important, because cumulative exposure to ionizing radiation is of chief significance, as opposed to dose per single exposure.